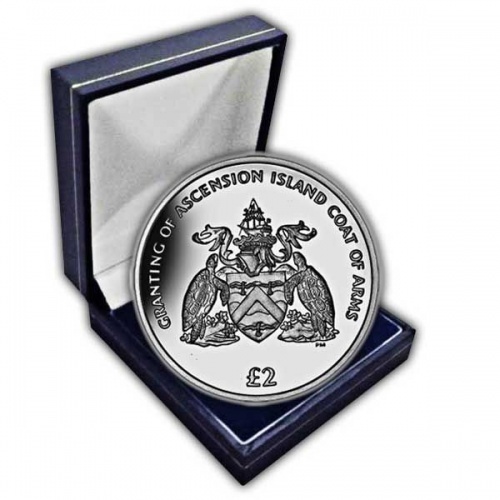 The Ascension Island 2013 Coat of Arms Coin by Pobjoy Mint is a wonderful new coin on behalf of Ascension Island which features the Island's brand-new Coat of Arms. In August 2012, Her Majesty Queen Elizabeth II accepted a new Coat of Arms which was drawn up by the College of Arms in London. 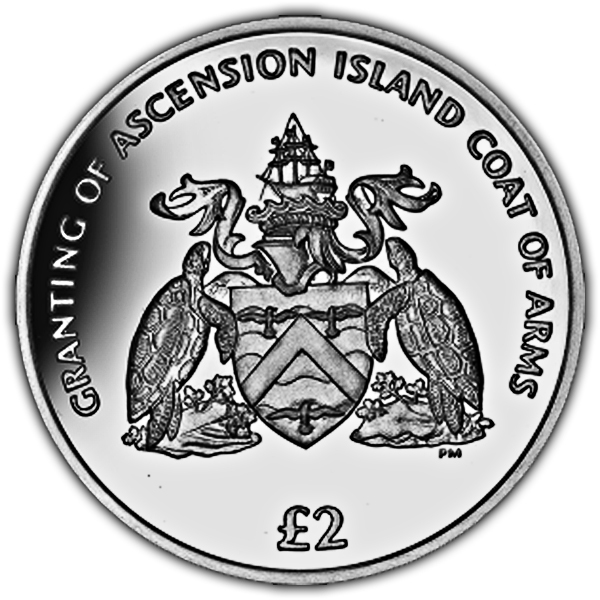 Before this authorisation, Ascension Island used the Coat of Arms of the UK for official functions. Ascension Island, which is an isolated volcanic island found in the waters of the southern Atlantic Ocean, is governed as part of the British Overseas Territory of Saint Helena, Ascension and Tristan da Cunha. The Island is named after its day of recorded discovery, Ascension Day. Historically, the isle played a role as a crucial safe harbour and coaling station to mariners and during The second world war was an important naval and air station. There is no long-lasting or indigenous population on the isle, around 880 people live there and when considering the new layout for the Coat of Arms, the Islanders themselves were asked just what they would like to see on the Coat of Arms and the style was based on the comments recommended which includes the turtles that notoriously lay their eggs on Ascension’s coastlines. 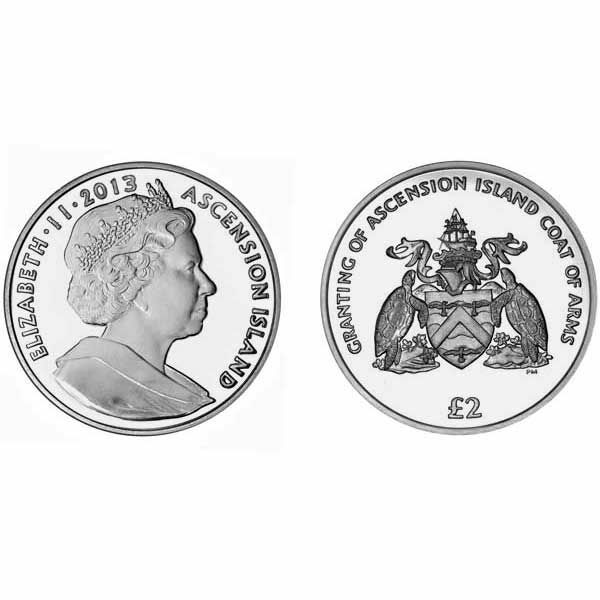 Available in Cupro Nickel and Proof Sterling Silver, the obverse of each coin includes a fine effigy of Her Majesty Queen Elizabeth II by Ian Rank-Broadley FRBS. Each piece is detailed to perfectness and the Silver coins have been struck four times to create a wonderful mirror finish background with the design in striking relief.